The best places to park are Longport Car park (CT1 1TU) which is behind us and the City Wall Carp Park. 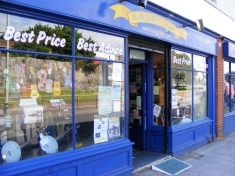 Hobgoblin Music in Canterbury, Kent opened in October 2010. 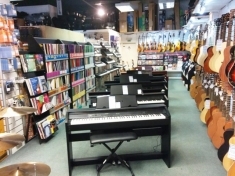 The shop moved into a premises previously occupied by Musicland – the keyboard and rock’n’roll superstore. 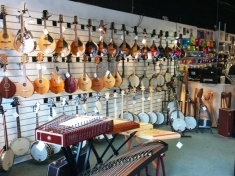 The shop is unusual for a Hobgoblin shop in that it continues to stock keyboards, drums and electric guitars, with expert salespeople on hand to advise on these instruments. 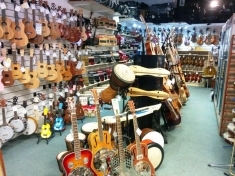 In addition, Hobgoblin’s huge range of celtic and traditional instruments makes this shop one of the most all-inclusive in the UK. Staff were honest, helpful and polite. 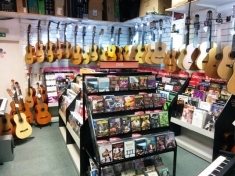 As a novice guitar player they guided me with my purchase and gave me lots of support…Awesome shop and I enjoy purchasing from a local dealer with face to face service. Coming into the shop is an experience I look forward to rather than just shopping! Just excellent; couldn’t have been more helpful and obliging. Having dealt with this store it will now be the only music store I’ll deal with in the future. I felt very listened to by your shop staff. They were knowledgeable and helpful, demonstrating a number of items for me… I particularly would like to thank Adam the shop Manager who far exceeded his duties, and supported me entirely through my buying process, never once felt hurried or pressured. Very Impressed. I found all the staff polite, positive , and knowledgeable…In many ways it was like stepping back in time to a place where service was what a store or shop was built on. Such a wide stock. Friendly and helpful and knowledgeable staff. 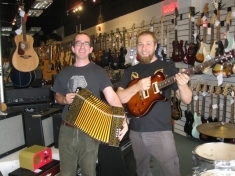 Pip was generous with his time and knowledge of the workings on the piano accordion. I am thinking about purchasing the wonderful Allodi you have in stock. Can’t improve on perfection. 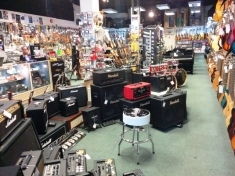 It’s a veritable Aladdin’s Cave of music…ALL kinds of music. Manager was extremely helpful, knowledgeable, communicative, and polite. I only hope he’s still there when I visit the store again this November. 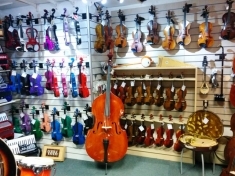 I love just browsing around stores like this, especially when you have the opportunity to try out the instruments you play or are interested in…and the staff are knowledgeable enough to have an in-depth discussion about the instruments. 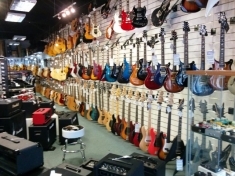 I’m a beginner just taking up guitar and found the staff at this store extremely friendly, helpful and professional, nothing too much trouble. As a result of this I have now bought two guitars and one amplifier and various other small items. I would like to make special mention of Adam for his exemplary help and expertise. I really do feel that this does your company credit. Your Canterbury branch is so lovely. The staff are so enthusiastic and kind and helpful.